Only in Georgia do you find every manner of bizarre and nasty bug imaginable and our one acre seemed to house the worst of them. 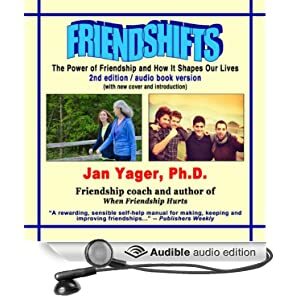 We’d found two inch long dung beetles, scorpions, black widows, cow killer wasps, fire ants, arrowhead spiders, and other assorted bugs that bite, sting or are just interesting. This time it was a brightly colored caterpillar. 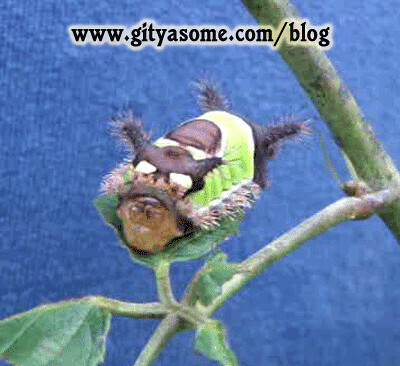 The caterpillar was breathtaking with his vivid lime green blanket and well defined brown saddle ringed with white. The edges of the blanket had tufts of tan colored hairs or spines tipped with black. His horns were spiny, too, and he had two horns on both the front and back. His rear end offered the perfect camouflage with two great big lime green eyes. Only they weren’t eyes, they were green spots designed to make his rear end look like his head to confuse predators. His rear end even had a mouth, making his fake face complete. Having discovered that the wonders of my own backyard made great blog entries, I ran for the camera. Our Sony Cybershot took great photos and even movies with sound. The green and brown saddleback caterpillar did not disappoint except that I failed to get the movie I wanted. As we watched his head, he puffed out what we thought was his throat and out popped a turd. We had witnessed a caterpillar pooping! And we realized that this was his rearend, not his head. Try as I might to get a movie of the saddleback caterpillar pooping, he didn’t do it for me again. I did, however, get several photos of his posterior in various stages before and after pooping. It was truly mesmerizing. Saddleback caterpillar getting ready to poop. He wasn’t hard to find on the internet. 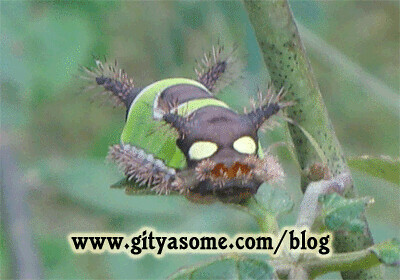 My very first try was to type in “saddleback caterpillar” and I hit paydirt. Our caterpillar, scientifically known as Sibine stimulea or Acharia stimulea, would go on to become a plain brown moth with tiny white spots someday. But today he was of the family of slug caterpillars that are found in Eastern North America from Massachusetts down into Mexico and west to Missouri and Texas from June to August in the cooler climates and almost all year in the warmer climates such as Georgia. He was feeding on a thornless blackberry bush in September. 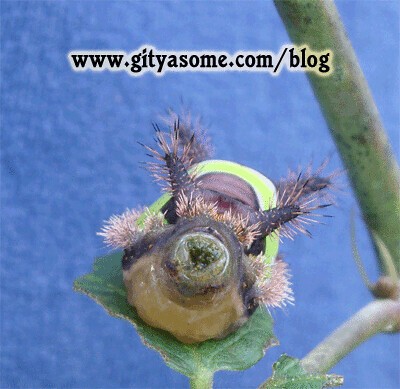 Saddleback caterpillars feed on a wide variety of plants and trees. People have found them on trees such as cherry, oak, elm, plum, apple, poplar, chestnut, maple, redbud, crepe myrtles, dogwood, rose of sharon, banana trees and palms. Plants include corn, blackberries, blueberries, tomatoes, green beans, hydrangeas, azaleas, elephant ears, ivy, holly, amaryllis, irises, gladiolas and peonies. In other words you can find them on just about anything. More often than not they are found on the underside of leaves where you can brush up against them and be stung before you’ve even spotted them. 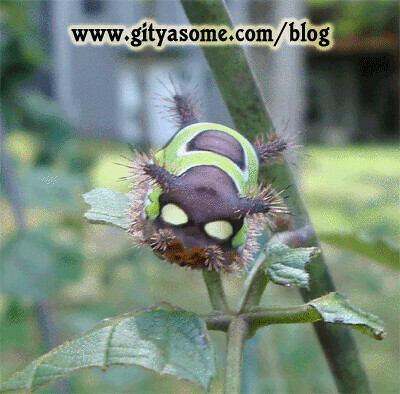 Other common names include packsaddle caterpillar and stinging hair caterpillar. In my quest to make him poop for the camera I came very close to touching him. Thank God I didn’t because the hairs are venomous and pack a nasty punch. Each hair has a poison sac at its base and the sting is reputed to be much like a wasp sting. 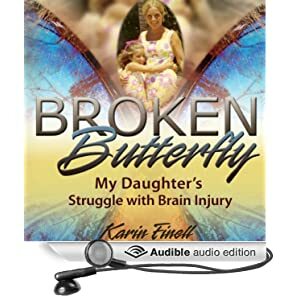 The pain and swelling can last for days and is often accompanied by a rash, nausea, cold chills, sweating, headache, dizziness, tingling and numbness. One person described the pain as “burning like fire” and some folks experience heart palpitations. Use cellophane tape to remove the stinging hairs. Ice packs help reduce pain and swelling and swimming in a chlorine pool helps to diffuse the venom. Any bee sting remedy such as Benadryl, Camphophenique or other treatments for bee and wasp stings may help but be prepared to suffer for days from the sting of this colorful brown and green caterpillar. The saddleback caterpillar is featured in the book “King of the Forest: An Acre of America Backyard Nature Series” which is a back yard nature travelog with photos and stories. “King of the Forest” is available on Kindle and paperback. 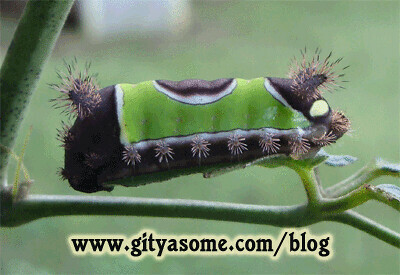 This entry was posted in Insects, Nature and tagged acharia stimulea, brown and green caterpillar, caterpillar, caterpillar pooping, caterpillar that stings, caterpillar with green eyes, georgia caterpillars, green and brown caterpillar, horned caterpillar, packsaddle caterpillar, saddleback caterpillar, sibine stimulea, southern caterpillars, stinging caterpillar, stinging hair caterpillar. Bookmark the permalink.